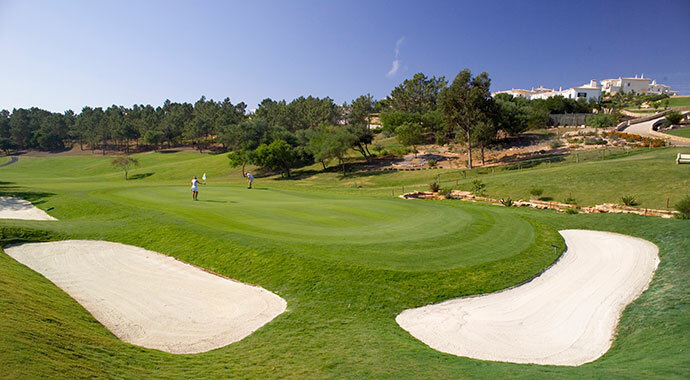 Framed by a valley that meanders through the course creating some undulating fairways, the Golf Santo Antonio course at Parque da Floresta is an impressive arena that has already been the stage for the prestigious Europro Tour. Santo Antonio Golf Course is situated near the fishing village of Salema, near Sagres - one of the most important places in Portuguese and European history - and close to the Costa Vicentina nature reserve. An undulating course with some sloping fairways, particularly on the front nine. Small well bunkered greens, many near lakes on the back nine, requiring a good degree of accuracy. The course is perfectly integrated into the landscape. 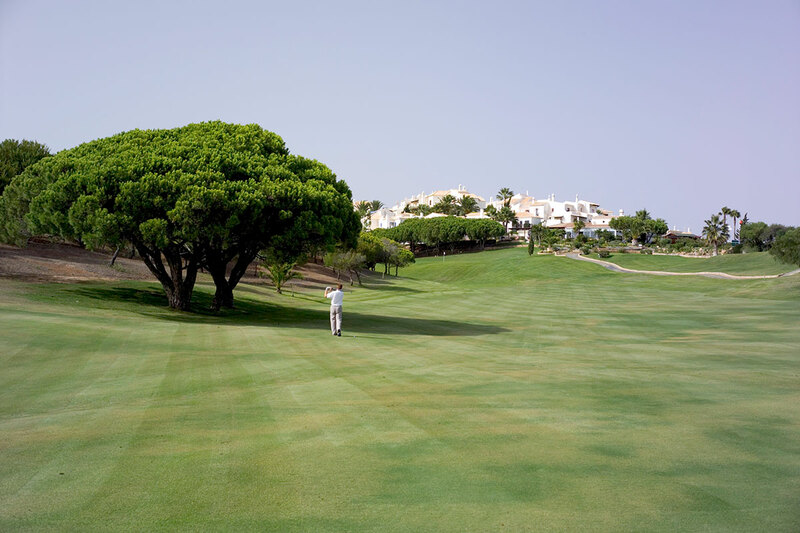 The Golf Santo Antonio Golf Course was designed by Pepe Gancedo, one of Spain´s most famous architects, whose philosophy of golf course construction involves minimal alteration to the existing terrain. The Santo Antonio Golf Course runs over hills behind the fishing village of Salema, which is near the historic town of Lagos and not far from the Costa Vicentina Nature Reserve. The 1st hole of Santo Antonio Golf Course, 306 meters for a Par 4, presents a demanding tee shot to commence the round, for those intending to reach its green in just two shots. Hole 5 is a Par 3 over just 112 meters, although short, it is imperative to hit the green as there are sharp slopes on all sides, making par difficult if the green is missed. The par 5 9th ranks among the toughest stroke-index 1 holes ever designed. At 490 meters, the third shot is steeply up hill and over a ravine. On the second nine of Golf Santo Antonio, the highlight is hole 11 a green protected by water, and is immediately followed by a par 5 that leads up the "Valley of the Wells" to another well protected green. Having played along the "Lost Valley" of the par 4 14th, with its spectacular views to the village of Figueira and the sea, you are faced with the dramatic tee shot of the par 3 15th. Here, on the tee, players are presented with an imposing view of a large, picturesque lake that has to be carried in order to reach the wide, but shallow, green. Water again comes into play on the 16th and 17th where bold, yet accurate, tee shots will reap dividends for the brave, although both holes also prove rewarding to those golfers with higher handicaps. Another notable hole of Golf Santo Antonio course is number 18, a fabulous finishing hole, placed right beneath the Clubhouse. The line is straight over the large pine tree setting up the approach to the elevated amphitheatre green where all your golf buddies are sure to be watching. Nothing like a little pressure at the finish! 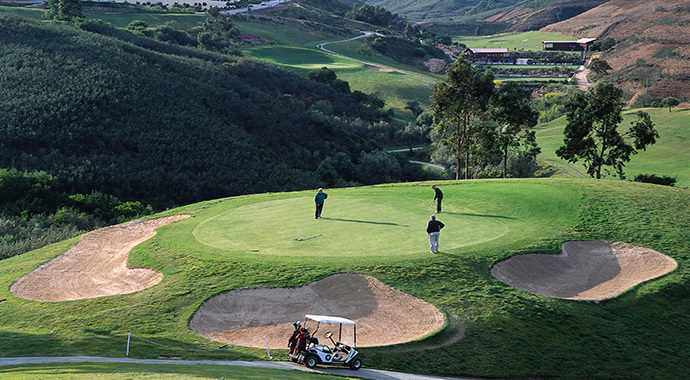 The Clubhouse of Santo Antonio Golf Course is typically Portuguese and provides spectacular panoramic views over mountains and sea, and also a general view over much of the course.